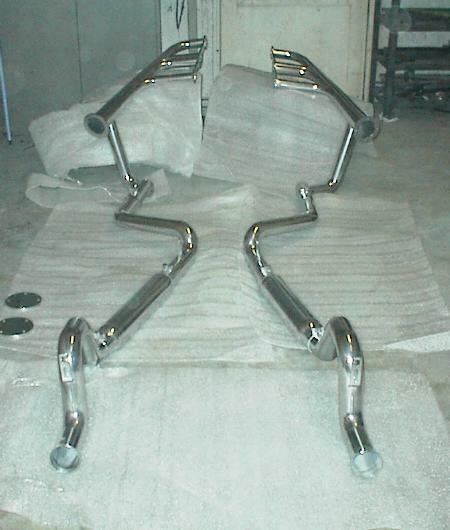 Here's a shot of the exhaust system. This 2 ½" diameter system, including the headers, was completely built in-house. All bends were cut from of steel donuts (from Ron Covell), tig welded together and all joints sanded smooth before sending out for Jet Hot coating.